It is not possible to go to the salon each time to pamper your face. 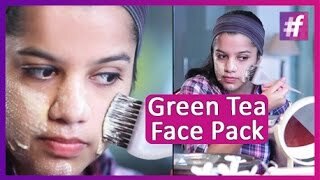 So how about a natural facepack using ingredients from the kitchen? Infused with the goodness of oatmeal, banana and honey, this pack will leave your skin soft and supple. A scarf is a dynamic accessory and can lift it up any boring outfit. We tell you how to style it in different manners to create a head gear, bag accessory, corsage and many others to create distinct looks. Crop tops have been in vogue for a while. How about adding a DIY twist to it? Yes, we tell you how to make a crop top out of your tights in an absolutely easy and fuss free manner. All you need is a pair of scissors! Today, with regular exercise all too often sacrificed because of a perceived lack of time, hence this option of the world’s quickest 4 minute workout per day will win over legions of fans. Tabata is a type of workout where you give maximum effort through quick intense bursts of exercise followed by short, recovery periods. This high intensity workout get your heart rate up and improve your cardiovascular fitness level while burning more fat and calories in less time. The best part is that it boosts your metabolism and keeps it on the go through out the day. Embrace your body type and go all out with your style game because these fashion tricks are guaranteed to make you look thinner. From details about the silhouettes that flatter, cuts that camouflage, and fabrics that hide the physical dirty laundry. Here are some quick fashion advice for curvy women. This festive season, dress smart. It’s not about buying multiple outfits but styling them correctly. Today we tell you how to use one blouse to create many looks. From pairing your blouse with a skirt to saree to palazzos, the choices are many. This festive season don’t fret about buying multiple clothes instead transform your western outfit into an ethnic one. We tell you how to twist up your usual western attire by adding some Indian elements and accessories for a complete festive look.